For me wip3out and Colin McRae 2 were just made perfect with the control. I also believe ridge racer 5 and wipeout fusion on the ps2 could use it. I picked up rr5 today for $2 so will try it out. still a better investment than a ps1 classic. I really should thin the collection. Clint's made his own PS Classic with a Raspberry Pi and a 3D printed case. It’s there, but I don’t own it technically speaking see that tissue paper in the corner.. it’s in that. One of these days I’ll have to get me a legit copy. Under $100 in 20 days.. lmao! 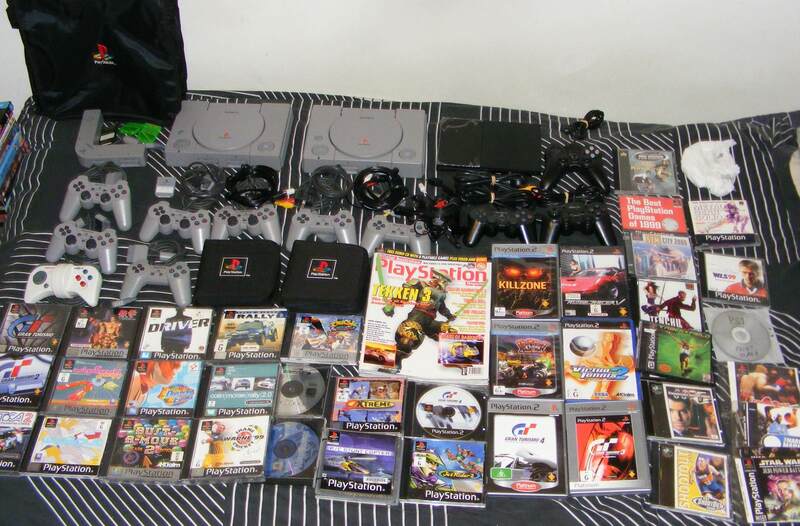 Under $50 in 3 months at which point it’ll be discontinued and because no one bought one it’ll actually become the most collectable PlayStation in 20 years time. Sony's PlayStation Classic has received a lot of bad press since the device's reveal, from the product's selection of games to the device's controversial use of 50Hz PAL copies of classic games. Now it seems clear that Sony's PlayStation Classic has not been selling as well as expected, with the device receiving price drops to £49.99 across multiple UK retailers, a staggering £40 price cut since launch. Sony's PlayStation Classic launched with a price tag of £89.99 in the UK, releasing with 20 games (listed in the image below), two controllers, a power cable and a USB power cable. Today's pricing represents a price reduction of almost 45%. When it comes to PlayStation Emulation, most titles run better and offer superior performance using other official emulation methods, such as using PS1 disks on PS3 or by using digitally purchased PS1 titles on Sony's PSP, PlayStation Vita and other Sony consoles. In the eyes of many, Sony's mini PlayStation has spoiled a classic. Is Sony's £40 price reduction enough to ensure sales of Sony's Classic consoles? I guess that's up for the market to decide. Another month but sadly no further price drop. They are still $59.99 at most retailers. I wonder how they are selling at that price? I honestly wouldn't think the price drop would increase sales very much. Everyone knew it was junk at $100, it is still junk at $60. If they ever go to $20 I'll pick one up just to mess with the modding abilities. Anymore than $20 though, I'll pass.